Men's skin is rather different from women's: it is up to 25% thicker, is oilier, has larger pores and as a result greater susceptibility to impurities, has a lower pH value and has higher collagen density - firmer connective tissue. However, it needs an equal amount of daily care and also likes to be pampered. 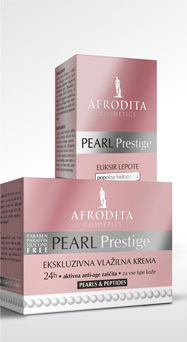 Especially after shaving, when it is irritated and appreciates the feeling of instant relief and moisture. focusing on intensive hydration and skin protection. 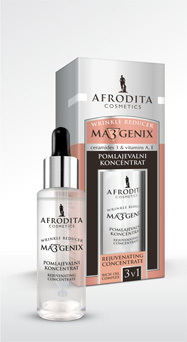 AFRODITA MEN features four attractive products that ensure beautifully conditioned, soft and smooth skin after shaving by means of modern natural active ingredients with no parabens, paraffin or silicones added. They fully accommodate men's contemporary lifestyle, give the skin a feeling of comfort and raise confidence. 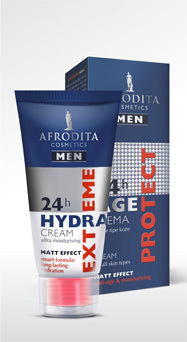 The first Afrodita MEN hand cream, intensive care & optimal protection, instant absorption: in only 5 seconds! Transformation in 14 days. Guaranteed! 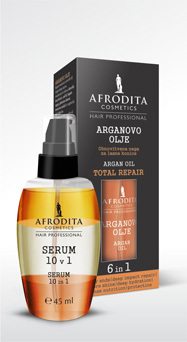 Precious natural oils for comprehensive hair care! Natural, gentle, soothing... your intimate care.